Allergic contact dermatitis: After repeated exposures to the same substance, an allergen, the body’s immune recognition system becomes activated at the site of the next exposure and produces eczema. An example of this would be poison ivy allergy. 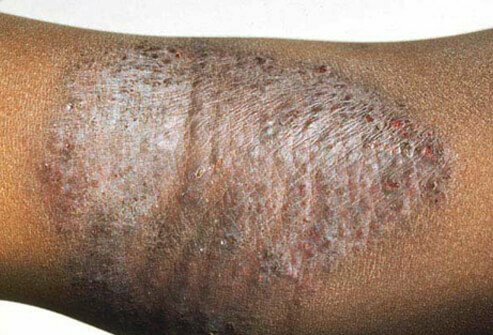 Scabies: It’s caused by an infestation by the human itch mite and may produce a rash very similar to other forms of eczema.